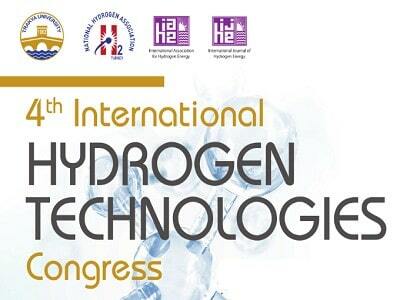 Hosted by Trakya University, the 4th International Hydrogen Technologies Congress (IHTEC-2019), which is a multi-disciplinary international conference, will again provide an opportunity for researchers, scientists and engineers to present their recent advances and to discuss current problems, future needs and prospects in the area of Hydrogen Technologies. Organized by National Hydrogen Technologies Association, the goal of this congress is to bring together researchers from all countries, disciplines and applications of hydrogen technologies and to promote the exchange of new ideas and techniques in order to establish the scientific, industrial and social corporation, and to develop the sustainable coordination in the following topics. Nejat Veziroğlu Special Award: This award is dedicated to Prof. Dr. Nejat Veziroğlu, who is an international leader in hydrogen energy, the father of hydrogen technologies, and the permanent honorary president of the National Hydrogen Association. Those who will apply or be nominated to this award must meet the following conditions: i) To have proven themselves in the area of hydrogen energy technology both in domestic and international scales by taking active roles and contributing to National Hydrogen Association’s activities, ii) To have made internationally accepted contributions both in scientific and technical aspects in the field of hydrogen energy and technologies. Technology Award: This award recognizes organizations that are actively working on and developing hydrogen energy technologies. Companies or institutions may apply to this award themselves or they might be nominated by the Association members. The companies or institutions that are nominated or willing to apply for this award are expected to accomplish the followings: i) To have developed a product for the enhancement of hydrogen energy and technologies, ii) To have established pilot or industrial facilities in the field of hydrogen energy and technologies, iii) To have been patented or to have supported technology development in the field of hydrogen energy. Especially; application of developed or patented technology and contribution to the hydrogen economy is the reason for this award. Young Researcher Award: This award is designed for researchers with at least a master’s degree who are under 35 years old as of the date of the next IHTEC conference (that the award ceremony is planned to take place). Candidates might apply directly to this award or they may be nominated. Candidates who apply or who are nominated for this award must have successfully carried out nationally and internationally successful studies on hydrogen energy technologies. Those who have inventions, who develop new applications or unique methods related to hydrogen energy technologies, will be the reason of preference for this award. 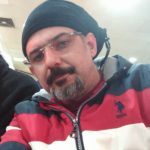 STEM disiplinleri aralarındaki ilişkiler nelerdir? Wi-Fi’den 100 kat daha hızlı teknoloji: Li-Fi Nedir?